Discover the heart of Canada’s Atlantic seacoast on this wonderful vacation. 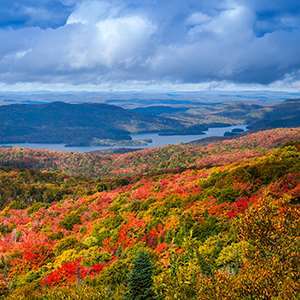 This tour begins in Halifax, ends in Montreal, overnights also in Charlottetown and Baddeck, and includes scenic drives, beautiful national parks, and quaint fishing villages. Local host service in Montréal, where information is provided for independent exploration and dining. Overnight accommodations and travel aboard VIA Rail’s Ocean train in Sleeper Plus class to Montréal. Private, deluxe, air-conditioned motorcoach while touring with free Wi-Fi. 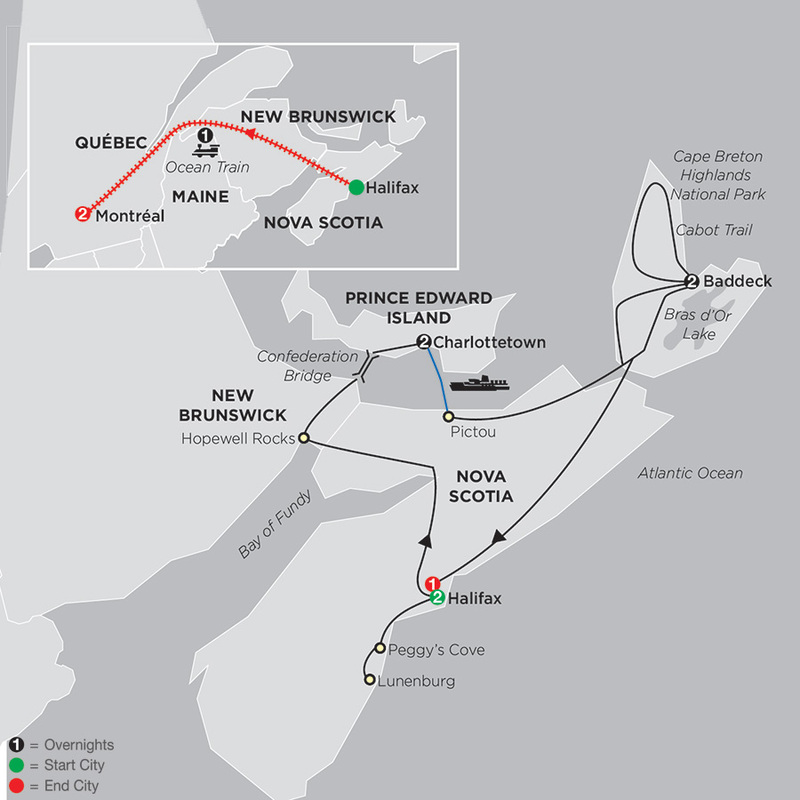 VIA Rail’s Ocean Train links Halifax and Montréal. Travel hundreds of miles while sleeping in comfort and wake up in a different region of Canada! Ride across New Brunswick to Québec’s largest city, Montréal. Accommodation on the train is in private double bedrooms.